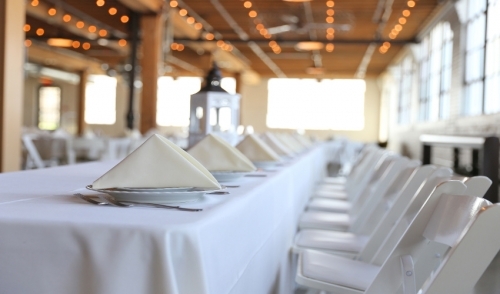 Share "How to Set a Proper Table"
If you're planning a formal dinner party, business function or a wedding reception, a proper table setting is very important. The etiquette experts tell us it's real easy and with this easy-to-follow layout and description of items you can say the same thing! The general rule with utensils is to start from the outside of your place setting, and work your way toward the service plate (the main meal plate): soup spoon first, then fish knife and fork, then service knife and fork. Note: It is often recommended that the salad fork (J) is placed to the left of the dinner fork (I). However, in this formal setting the dinner fork is placed before the salad fork because it is suggested that the guest waits for the main meal before helping him/herself to the salad.